SAGADA, Mountain Province — Among the 42 participants I, finished the one day training on Community Broadcasting for Radyo Sagada Broadcasters. 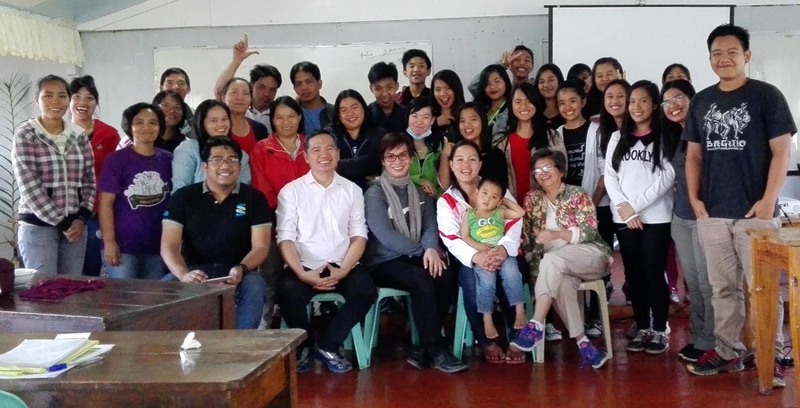 This was held at St. Joseph, Sagada on March 14, 2018 with the objective of enhancing skills of local broadcasters and preparing soon-to-be broadcasters. The participants came from Mt. Province General Comprehensive High School, Bontoc, ; Banguitan National High School, Besao ; Municipal Agriculture Office, Sagada ; Municipal Risk Reduction Management Office-Sagada; Office of the Overseas Workers Welfare Association-Mt. Province, BINNADANG Women’s Organization in Mt. Province, Seventh Day Adventist ; Cordillera Research and Development Consortium; Cordillera Peoples Alliance for the Defense of the Ancestral Domain and for Self Determination-Mt. Province; Mt. Province Youth Alliance ; Mt. Province Human Rights Advocates; St. Joseph Restaurant; Alyansa dagiti Pesante iti Montanyosa (Farmers Organization in Mt. Province) and of course other volunteers of Radyo Sagada. Together with Radyo Sagada, the activity was organized by energetic and knowledgeable resource speakers and facilitators, Lester P. Ordan and Ryan Jay I. Galang, Professors from the Development Broadcasting and telecommunications, College of Development Communication, University of the Philippines, Los Banos. The participants were introduced to what is community Broadcasting, how to plan a radio program, School on Air Program, how to maximize social media and what are the broadcast ethics. On the training, Diony Alsaen, a participant from the farmer’s organization, said that he is more confident now and will try to apply what he learned from the training towards improving his organization’s current radio program. On the other hand, I, a first timer, volunteered to document for our workshop group, hence, this article.